A consumer study undertaken by Bellevue University has revealed an alarming fact that nearly 65% Americans currently suffer from high stress levels. The main factors were loss of income and the high mortgage loans they had to pay on a monthly basis. Therefore nearly 30% of the current employees in America feel stressed out at work and also undergo acute emotional strain. The presence of these negative emotions in these employees prevents them from becoming productive and in giving their 100% best. Thus career trend analyst from Glassdoor Scott Dobroski is of the opinion that the presence of a good work life balance is necessary to ensure that both the employers and the employees are satisfied. Once this work-life balance is achieved employees would give their 100% best and be very satisfied with their job. From the employer’s point of view, this would create low attrition rates and generate consistent profitable growth for the company. If you are looking to achieve a healthy work-life balance ratio in your life, you would be surprised that they are some jobs which would help you enjoy the best of the both worlds. For some of these jobs you need specialized skills, but for others you don’t. We from our end want you to be successful and thus have created a list of the best careers that you can undertake and enjoy a great work-life balance. The experts at IBM have explained a simple fact that the job of a data scientist has evolved from the basic business and data analyst role. A data scientist has to be well versed in the various technologies of computer applications and also be very proficient in various statistical and analytics tools. The demand of data scientist has grown in recent years as they are very few trained people available for this job. This intense demand according to Stan Ahalt director at the Renaissance Computing Institute, UNC Chapel Hill has made companies offer benefits like flexible working hours to a potential employee. Therefore people who take these jobs offers enjoy a healthy work-life balance and enjoy the best of both the worlds. 42.3% of the current global population is internet users. An average American spends around 23 hours a week doing various online activities. Thus it is of no surprise that the job of a SEO expert is a coveted dream job for many people who want to maintain a good work-life job balance. 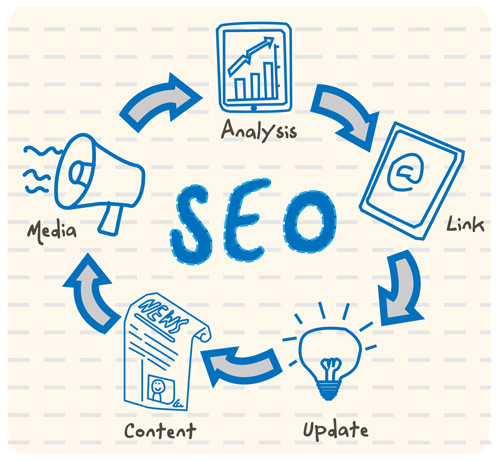 The basic responsibilities of SEO experts would include finding new opportunities for its company and also planning and monitoring various online marketing strategies. These strategies would ensure that maximum online traffic is assured in their company’s websites and their sales personnel enjoy a good website ratio conversion in minimum time. Here they are also responsible for managing the websites as a webmaster. Most companies would ask for basic experience in handling organic search and its various tools like Google Analytics or Google Webmaster tools. Additional experience in handling a total lifecycle of a SEO project would seal the deal for a potential job of SEO expert in many ways. If you love facts and figures then you could enjoy the job of an accountant or a bookkeeper. Studies at Bureau of Labor Statistics have indicated that the job of an accountant is a low stressed job. However during financial month ends and audits, they would need to work for longer hours in their office. During the festival seasons, most bookkeepers work alone in their office, while their colleagues enjoy the festive spirit with their family. But maintaining a healthy-work life balance is not difficult, as in most cases these bookkeepers work alone and can effectively manage their time well. The stress level is low and the work schedule can be adapted easily. All these elements make the accountant and the book keeper enjoy a healthy work life balance and this reflects in the quality work they do on a daily basis. The importance of tourism in a country’s economy cannot be ignored. Countries like Thailand, India and Malaysia thrive on the boom created by millions of tourists visiting their countries every year. 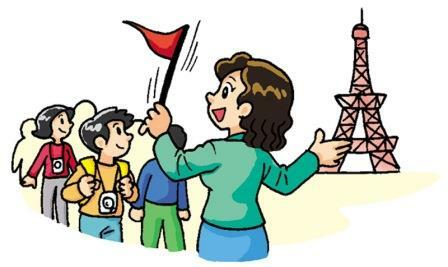 As the foreign tourist is not well versed with the languages, cultural traditions of the country, they need a friend who can help them enjoy their vacation. Due to these factors the role of a tour guide has grown tremendously over the years. A guide has to make the tourist group comfortable and help them understand the significance of various tourist spots. These guides with their great communication skills becomes the eyes and ears for these foreign tourists and with their knowledge in multiple languages, make these vacations an enchanting experience for them. People who are tour guides are passionate about their jobs and they love their country’s heritage and culture. Thus they enjoy their work thoroughly and give their 100% best. If you love spending time in the garden and feel relaxed planting small shrubs and flowers, then you could enjoy working as a landscape consultant or a grounds expert. Even though this is a low stress level job, you have to understand the fact that it is basically a seasonal job. Since these jobs are seasonal you might have to work overtime during the spring to fall seasons and rest during the winter season. The Bureau of Labor Statistics here has cautioned, that most groundskeepers and landscape personnel’s tend to be prone to accidents and thus if you are planning to become one, you should have knowledge of how to handle certain machinery like chainsaws and lawnmowers. This would keep the unnecessary hassles at bay and you can enjoy a great work-life balance. In conclusion, it can be added that the stress level of an individual varies from person to person. What is comfortable for one person could be very stressful for another. Therefore when selecting a job for yourself, where you could enjoy a healthy work-life balance, you can look through the above career options explained in detail. However it is very necessary that you undertake something that you enjoy doing best and this would in the long run help you to enjoy a good work and life balance accordingly. Here it would be great if you could add your review on the topic discussed above. Please also add your valuable feedback, which might add further insights into the topic discussed already.